TOWNSVILLE Catholic high school student Swetha Hickman was so horrified by a documentary on the plight of women and children in the Democratic Republic of Congo she decided to act. The documentary in Ross Kemp’s Extreme World Series focussed on acts of sexual violence committed against women and children as a weapon of war going on for decades in the DRC. 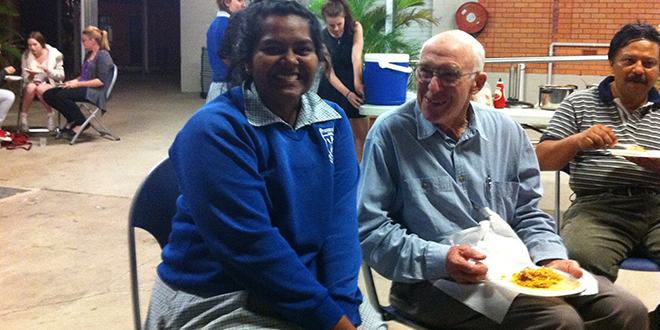 Swetha, the community outreach leader at St Margaret Mary’s College, recently hosted an information night for her peers and wider school community to raise awareness and funds to support the victims of the atrocities. Through the documentary she informed others about the extraordinary work of Dr Denis Mukwege whose medical team at Panzi Hospital provides lifesaving treatment to victims of human rights violations in the DRC. College principal Kathy Park said Swetha had raised almost $1000 in donations for the Panzi Foundation USA, established in 2010 by Dr Mukwege, Dr Lee Ann De Reus and Peter Frantz. “It has been Swetha’s wish that the funds raised will go to Aire de Jeux, which is the Children’s Center at Panzi,” she said.